PR1711WSA – WaterSaver Faucet Co. Application: Panel mounted pre-rinse unit for hot and cold water. Valve Units: WaterSaver self-contained compression valve units with replaceable stainless steel seats and integral check valves. Check valves prevent cross-mixing of hot and cold water. Pre-Rinse Assembly: Self-closing squeeze valve with rubber-bound spray head, insulated handle and locking ring. 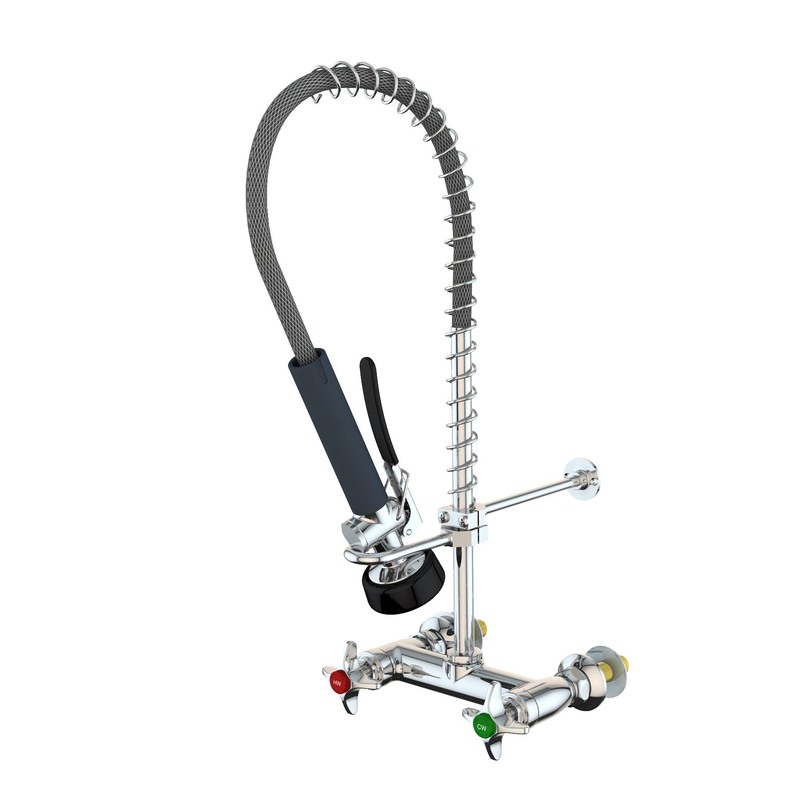 Valve is mounted on spring loaded 39″ stainless steel hose. Inlet: Furnished with 3/8″ IPS shanks (assembled), locknuts and washers. 3/8″ NPT male union inlets. Note: If mounting shanks are to be unassembled, use suffix “WS”.